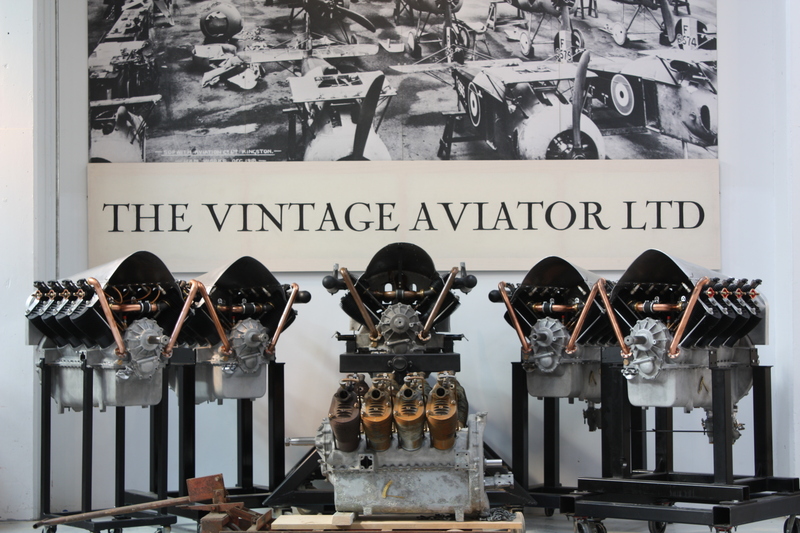 The Vintage Aviator Ltd has reproduced a BE2e to the same specifications as the original aircraft. The RAF tried to improve the performance of the BE2c as it was underpowered even with the RAF1a engine. They introduced a major modification by fitting wings of unequal span; these had only one pair of interplane struts on either side, the long extensions of the upper wings being braced by streamline-section wires, with landing loads taken by overwing wires attached to inverted ‘V’ king posts. This new variant was designated BE2e; very much like the contemporary but equal span BE2d, it had dual control and a revised fuel system. The BE2e also had horizontal tail surfaces that were of a new design with raked tips and reduced area. This flying example is authentic in every way, powered by a TVAL built reproduction RAF1a engine and painted in a traditional PC10 colour scheme. This aircraft would make the perfect trainer and provide the chance to share the sky with a passenger. This aircraft is currently located in New Zealand but is registered as G-CJZP on the United Kingdom CAA aircraft register and has approximately 42 hours total time in service. Image Gallery of the Be.2c/Be.2e Build.